It was a joy recently for my writing friend Rhonda Maller and me to be interviewed by my good friend Elizabeth Nulf MacDonald. Elizabeth is host of The Verbal Edge, a public access TV station in Fort Wayne. Rhonda and I talked with Elizabeth about co-founding the Bluffton Christian Writing Club in 2009 and how it has progressed. We meet monthly on the 2nd Monday night of each month at River Terrace Estates. We have grown to 14 regular attendees who drive to Bluffton from Allen and Adams counties. Our members include script writers, people writing memoirs, flash fiction, personal essays, business profiles, newspaper articles. Several members have published books and share marketing tips. The variety makes it a fun group! We have begun a blog you can see here. We offer critiques, advice, encouragement and camaraderie, something a lot of writers don’t find. The biggest tip Rhonda and I offered to viewers who want co-found a Christian writing club is to keep Christ at the center of the meetings. We might not all mention God in our writing, but He is in every word, meaning we strive to write with truthfulness, creativity and passion. We meet deadlines and offer honest reporting. 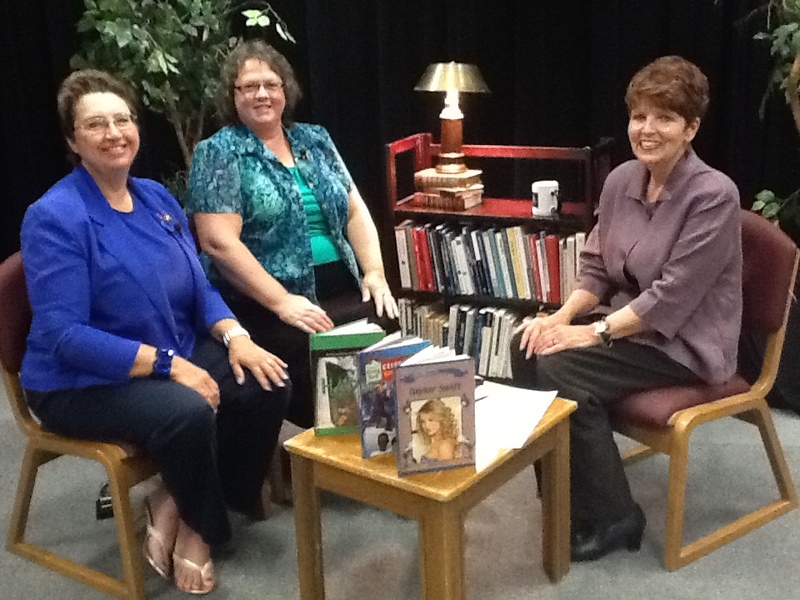 The Verbal Edge can be seen on Saturdays at 7PM on channels 57/27 in Fort Wayne. As soon as Elizabeth schedules a time slot for the show to air, I’ll post that information here. I’m also helping to organize a Christian writing club in Fort Wayne. 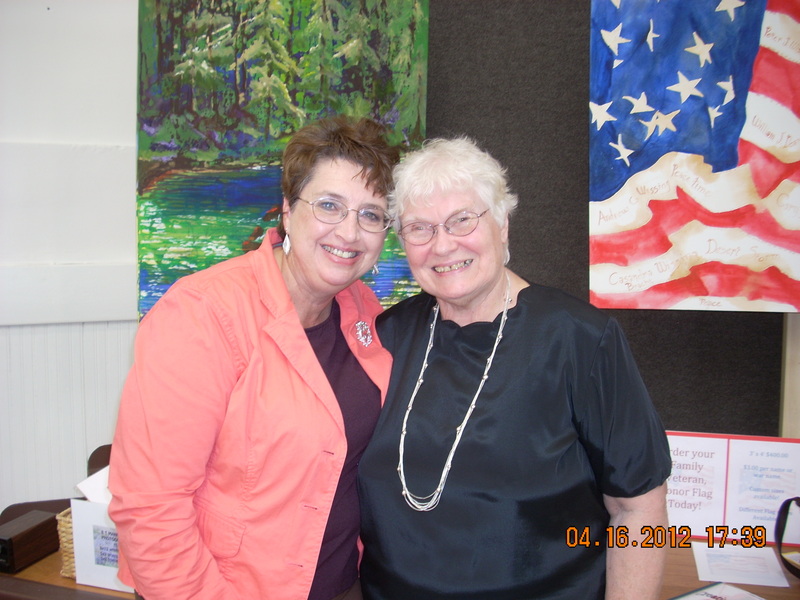 We meet at Waynedale Public Library on the 4th Tuesday night of each month at 6:00 p.m. Twenty years ago I was a wannabe writer who managed to get away from her busy family for one evening a month to meet with writers at a church in Fort Wayne. Linda Wade was the director. 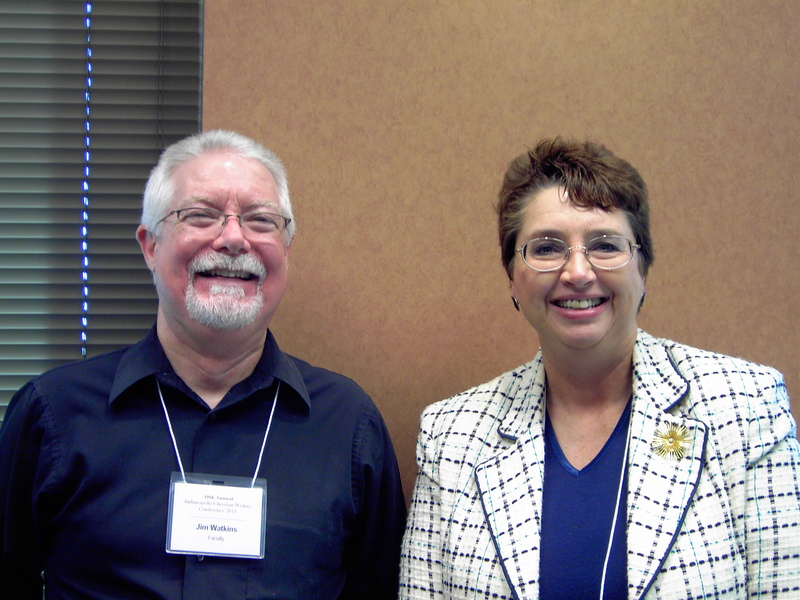 Here is a photo of Linda and me at the Canterbury Book Fair. Linda Wade led the Ft Wayne Christian Writing Club in the 1990s which helped me as a beginning writer. She was so kind to people after they read samples of their work. Jim Watkins, Rosa Liston, Jim Langham and others became good friends to me. If it had not been for these wonderful people, I would not have continued with writing. Jim Watkins was a helpful member of the Ft Wayne Christian writing club several years ago. We met at a recent writing conference where he was a speaker. What tips would you suggest for organizing a Christian writing club? Win FREE Book about Selena Gomez in Trivia Contest!